Bodydharma is Radical Dharma will be a 6-week yogic exploration led by Femi Akinnagbe. The class will have an intentional focus on issues of social justice and invite participants to listen to the wisdom of their bodies, as an essential component of the healing process. 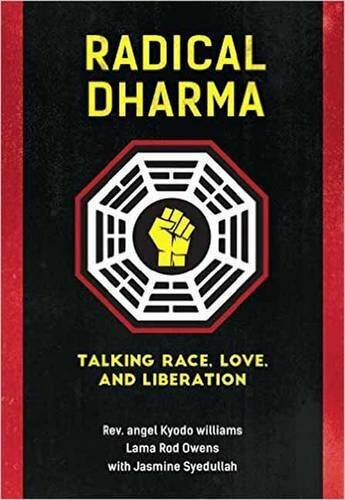 Weekly themes will take inspiration from the book Radical Dharma (2017) and will support participants in developing the internal resources necessary to consciously and compassionately respond to the challenges of the world around them. This mixed-level class is for anyone interested in discovering how an embodied yoga & dharma practice can be utilized to meet the needs and deep wounds of our modern society. There is no charge for these events and classes are offered by donation. Classes are drop-in style and participants can come to as many or as few sessions as they would like. No registration necessary. Led by Femi Akinnagbe. To further explore more on these concepts check out the groundbreaking book Radical Dharma by Rev. angel Kyodo Williams, Lama Rod Owens, and Dr. Jasmine Syedullah. By Rev. angel Kyodo Williams, Lama Rod Owens, Jasmine Syedullah Ph.D.